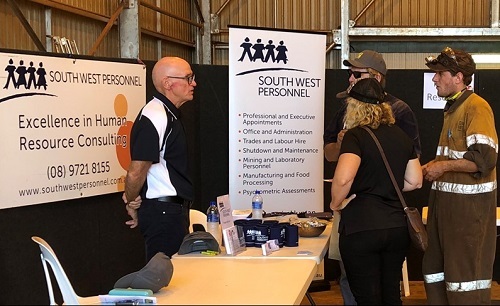 At South West Personnel, we love being involved in the local community. Whether it's participation in local fundraising and sporting events, or lending a helping hand to charities and non-profit groups, we do it with passion. 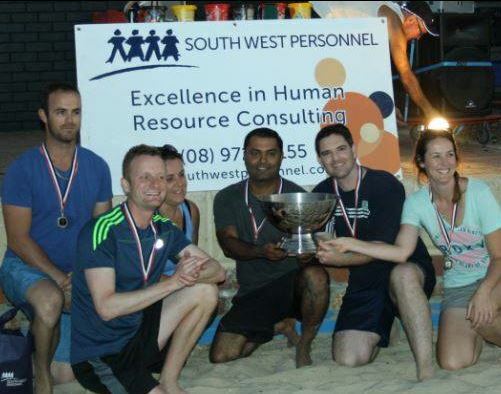 South West Personnel was again delighted to sponsor the Bunbury Volleyball Association's Beach Volleyball Corporate Cup. Locals supporting locals is close to our heart, and what better way than getting behind this fun event at WA's premier beach volleyball location. The Salvation Army wants to give hope to Australians battling tough times. While most of us are lucky enough to enjoy the festive season, some people have nowhere to sleep, kids go without gifts, people struggle to afford a basic meal and some are struck by disaster. 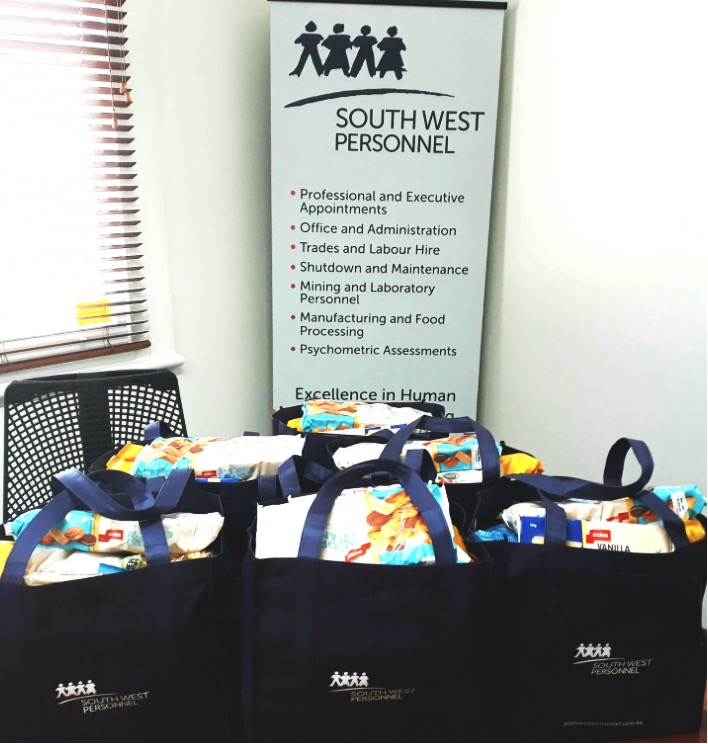 South West Personnel are once again proud to donate food hampers to assist The Salvation Army in supporting the less fortunate. Each year 15% of the population are hit by hard times and find themselves unable to get the food they need. No one story is the same; it strikes pensioners, families and children, the employed and the jobless, the city and the country. The demand for food relief is growing. South West Personnel is proud to donate to Foodbank who provide a very important service to our community. 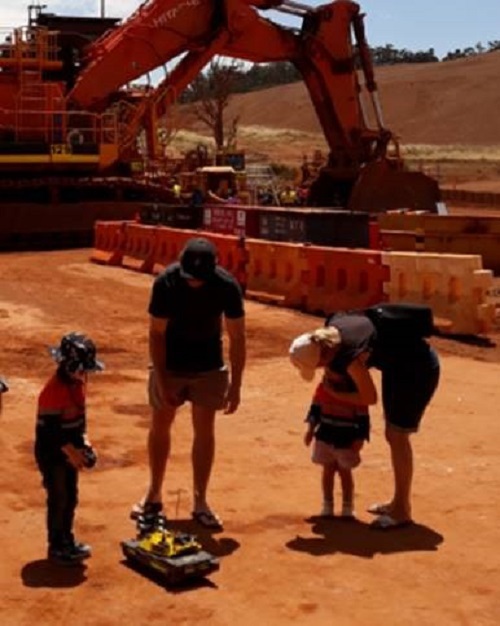 It was great for South West Personnel to be part of the South32 Open Day at the Marradong mine site near Boddington. 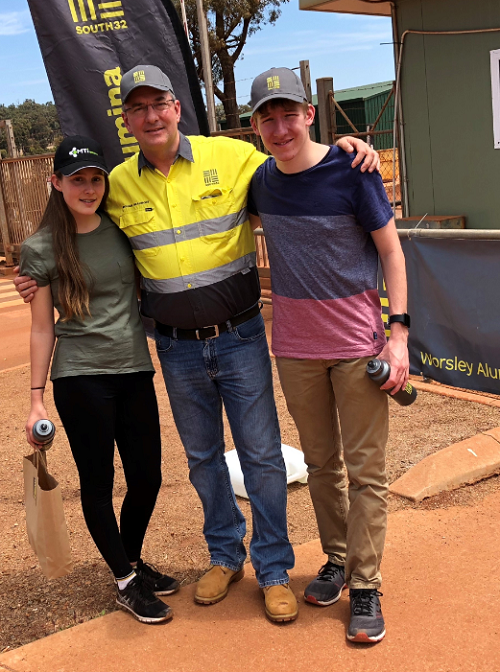 With bus tours, haul truck simulators and so much more, a fun and informative time was had by the hundreds of people who visited on Saturday! Good luck to Jessie Hollins who flew out today to represent WA at the National Under 12 Footy Champs in Canberra. The grandson of our very own Maz Hollins, South West Personnel is delighted to support Jessie as he flies the flag for WA. 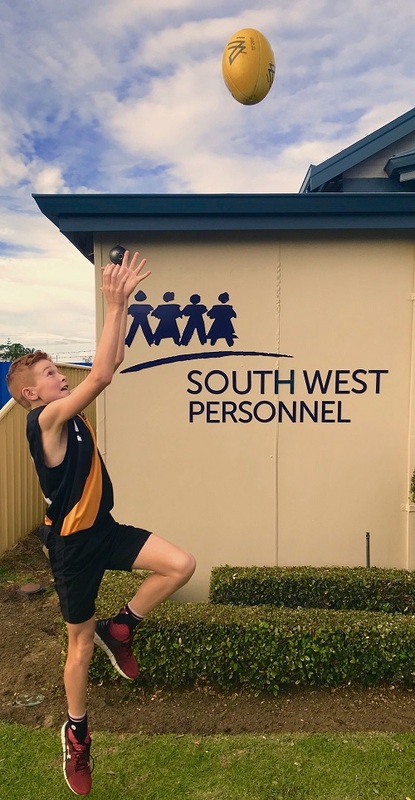 South West Personnel is excited to be sponsoring Jessie Hollins, grandson of our very own Maz Hollins, who after a rigorous selection process will represent WA at the National Schools championships. Jessie heads to Canberra in August with his team mates in what promises to be a hard fought and closely contested 12 and under event. 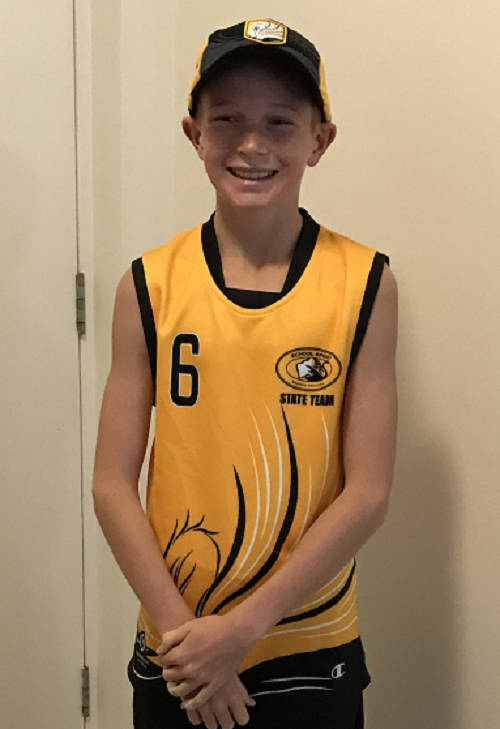 When the pocket rocket is not playing footy, he is dominating in Cross Country running, recently winning the interschool carnival in Bunbury and in the process qualifying for the state champs. 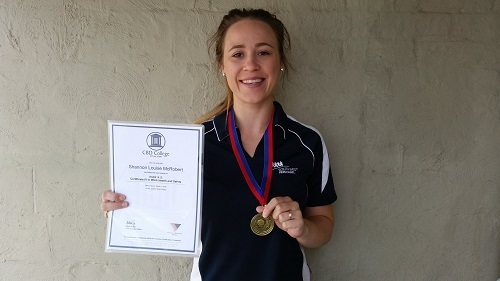 Congratulations to our HR Assistant Jenna Childs on completing her Certificate III in Business! 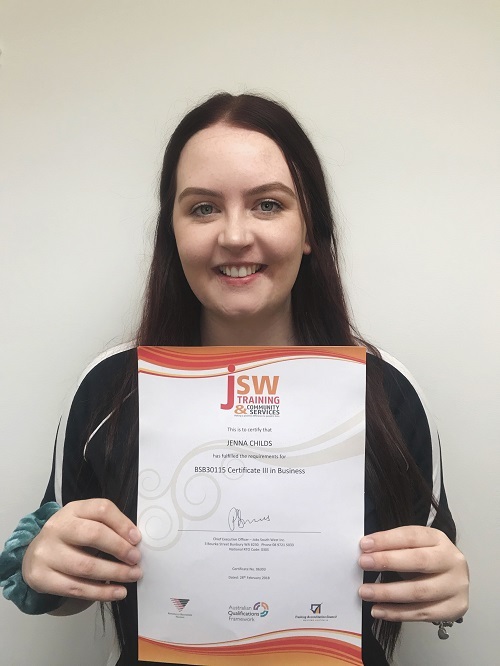 Jenna commenced as a Trainee with SWP, and was so awesome we simply couldn’t let her go! 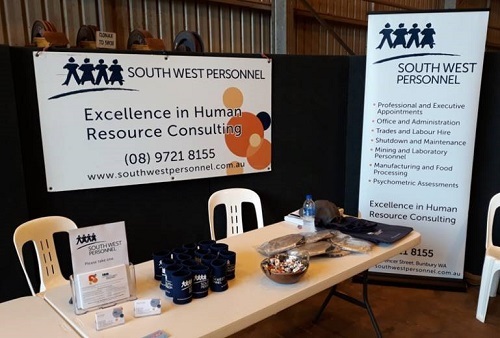 A massive week for South West Personnel’s OSH/HR Administrator Shannon McRobert. 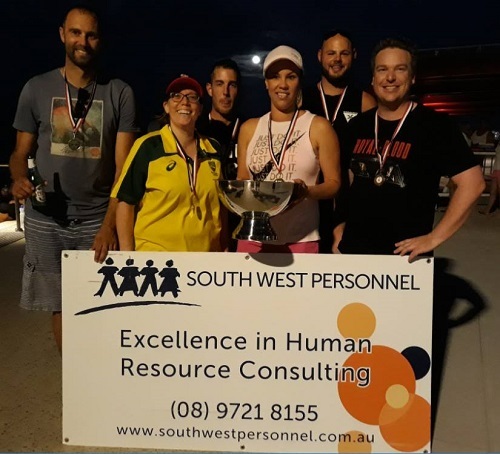 Not only did Shannon receive her Certificate IV in Work Health & Safety, on Saturday evening she helped her team, the Bulls, win the Bunbury Basketball Association’s A grade women's title. Great work Shan! South West Personnel is delighted to continue its support of the Bunbury Volleyball Association! Following on from the Koombana beach redevelopment, we are delighted to be the naming sponsor for the South West Personnel Beach Volleyball Corporate Cup and a supporting sponsor of the Bunbury leg of WA State Series. We are also very excited to be supporting the Australian Junior Beach Volleyball titles at Koombana beach, an event featuring some 400 of the nation’s best beach volleyball athletes. 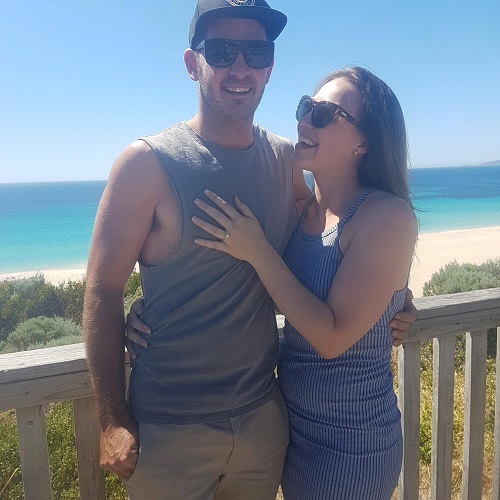 South West Personnel is delighted to congratulate our HR Administrator Shannon McRobert on her engagement to Dan Hayward. Dan did it with class, down on one knee and 5 years to the day that they met back at Smiths Beach. We couldn’t be happier for Shannon and Dan and know they will be absolutely perfect for each other!